Sharks that can walk you say? Ohmy, Sharknado 2 anyone? 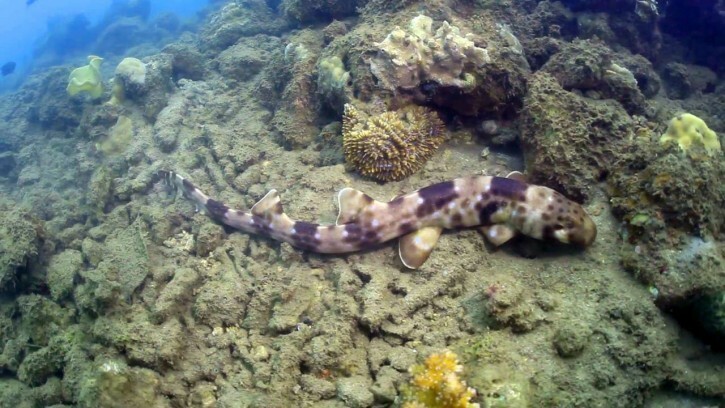 Walking sharks, also go by the name of bamboo sharks or longtail carpet sharks, prefer walking by wrigling and pushing their slim bodies using their pelvic and pectoral fins. This newly discovered cute little fellow is called Hemiscyllium halmahera can reach a relatively short length of about 28 inches (70 cm). Dr Gerald Allen, a research associate at the Western Australian Museum and his team, cought not one but two fine specimens of this amazing looking walking shark.